Based on the results of the analysis of the needs in elementary school at Kalimacan Sragen regency, it is found that the learning result of the students is still low, the learning media used has not cultivated the students' learning interest and the presentation of the less interesting IPS learning materials. This type of research is the Research and Development (R&D) by Borg & Gall. Product validation test conducted by a team of experts or an expert assessment, practicality test conducted by questionnaire response after learning of students and teachers, as well as the effectiveness of the test conducted pre-exsperimental design with one group pretest posttest study. The results of this development research that is produced product of comic based media problem that "Valid" with score 82,9%. The practicality of the product in learning is obtained from the result of questionnaire of student and teacher response with score respectively 84,4% and 86,9% in "Very Practical" criterion. Retrieved effectiveness of study of the test results is limited by the analysis of N-gain is an increase (gain) learning outcomes Elementary School fourth grade students Kalimacan amounted to 0.651 in the category "Medium". Based on the results of development research conducted, then the development of learning media Social science comic-based problem declared valid, practical and effective to improve student learning outcomes fourth grade elementary school. ARIESTA, Freddy Widya; KUSUMAYATI, Erlina Novi. PENGEMBANGAN MEDIA KOMIK BERBASIS MASALAH UNTUK PENINGKATAN HASIL BELAJAR IPS SISWA SEKOLAH DASAR. Pendas : Jurnal Ilmiah Pendidikan Dasar, [S.l. ], v. 3, n. 1, p. 22-33, july 2018. ISSN 2548-6950. 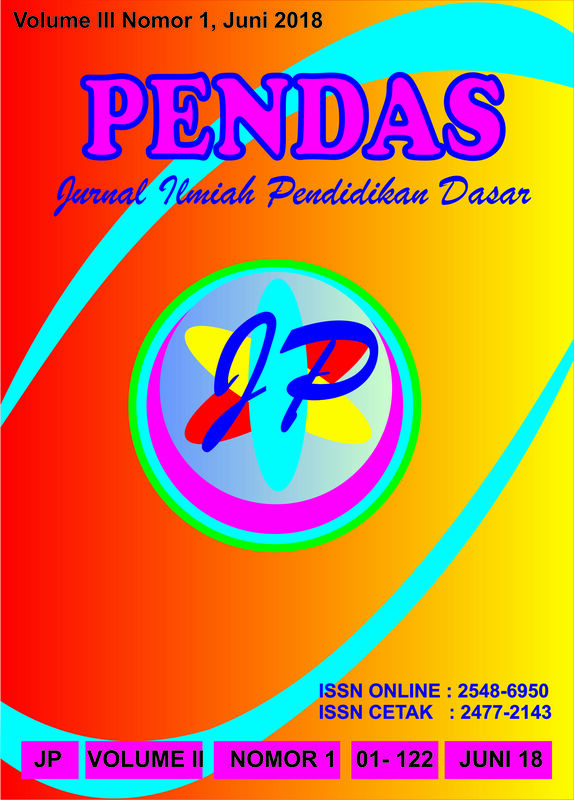 Available at: <http://journal.unpas.ac.id/index.php/pendas/article/view/571>. Date accessed: 22 apr. 2019.